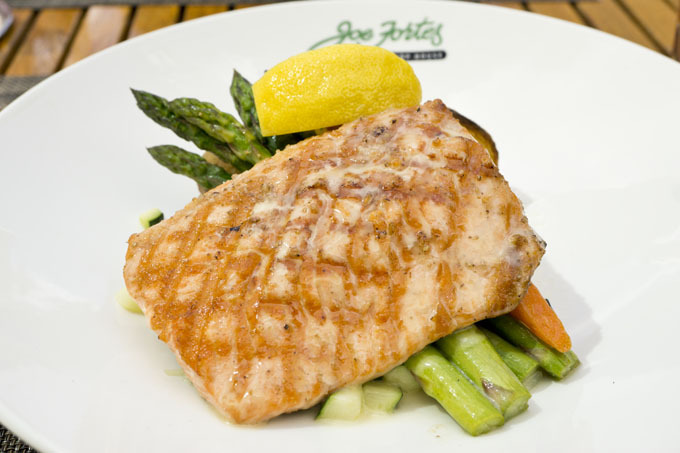 On a beautiful sunny day in Vancouver, we headed for some lunchtime patio dining at Joe Fortes. 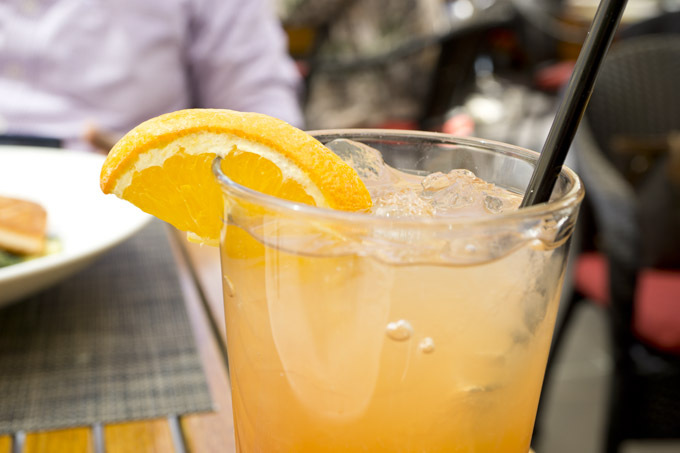 The rooftop patio at Joe Fortes is a cute little garden oasis – a hideaway from the hustle and bustle of Robson Street. I had made a reservation via Opentable ahead to time to ensure we got a table since it was the weekend. We were greeted promptly when we entered the restaurant. The hostess then guided us to the second floor and seated us on the patio. 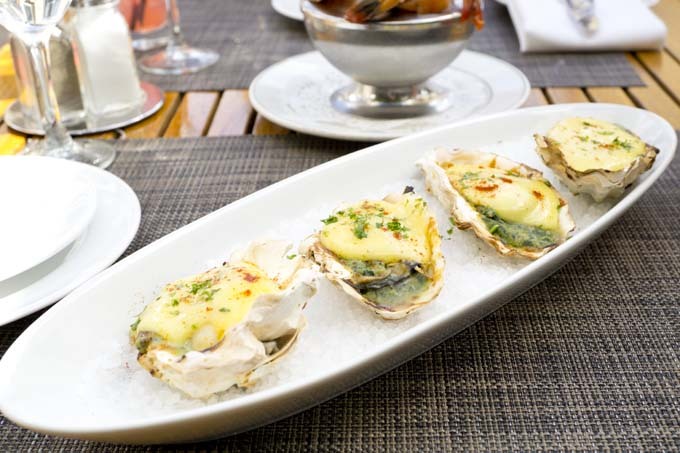 Joe Fortes has a classic chop house kind of feeling, but the overall atmosphere is quite welcoming. You have diners dressed to the nines, tourists, locals enjoying a day off, and I even saw one person in a camo jacket. It is an fun mix of characters who are just looking to enjoy a great dining experience. To start, we refreshed ourselves with some cocktails. I enjoyed the Fortes Punch which had fresh squeezed orange juice, cranberry juice, and ginger ale. 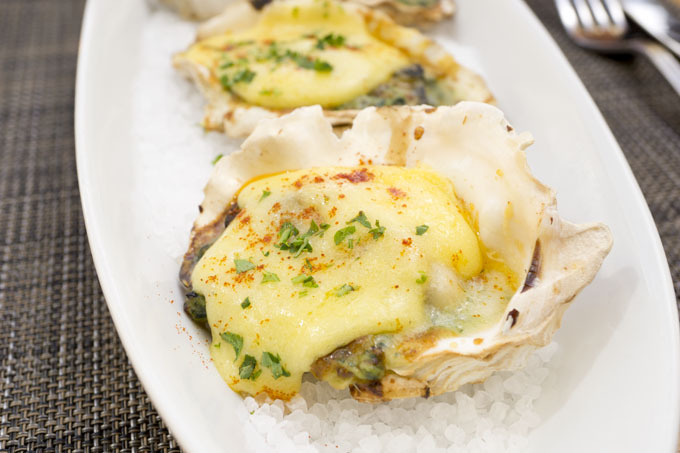 Next, we had the oysters rockefeller which had spinach, pernod, and hollandaise. The rich, buttery mixture tasted excellent. 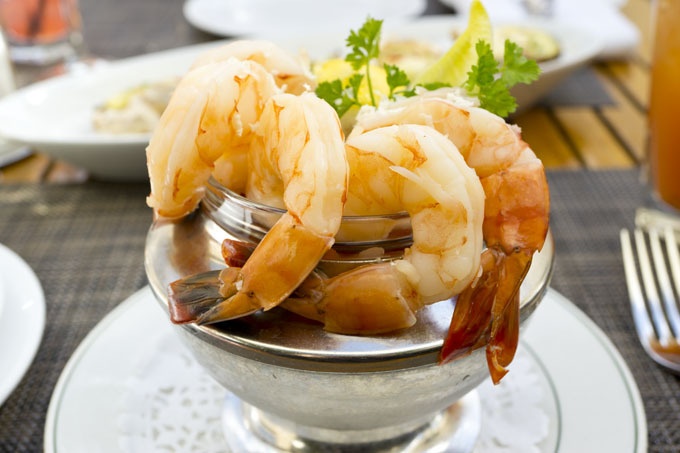 I enjoyed the classic tiger prawn cocktail with fresh horseradish and a delicious cocktail sauce. I tried a bit of the oceanwise arctic char that my friend ordered. It had caramelized lemon and extra virgin olive oil. I enjoyed the delicate texture but mild flavor. I had the oceanwise steelhead trout which tastes very similar to salmon. The presentation of the dish was elegant and similar to that of the arctic char. To finish off, we ordered the pavlova based on our server’s recommendation. It had a meringue cake with a crisp crust and was soft and light inside. 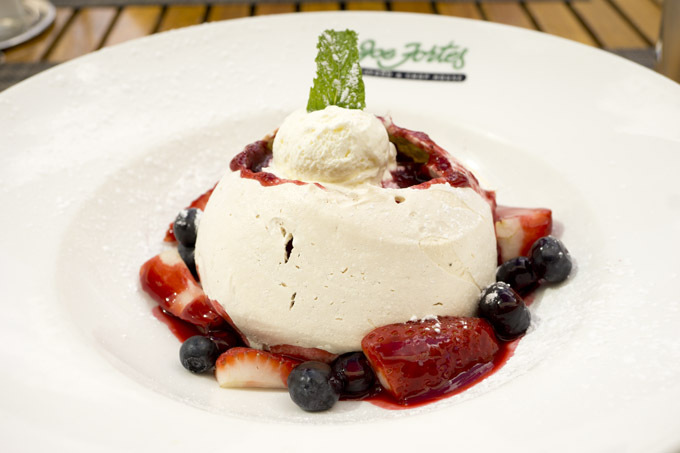 Topped with fresh fruit, lemon curd, and cream, this provided a great ending to an enjoyable meal. The servers are dressed professionally with their short white server coats. Our server was very friendly and attentive to our table. Based on my observations from other tables, the servers seemed all-around friendly and the service is top-notch. 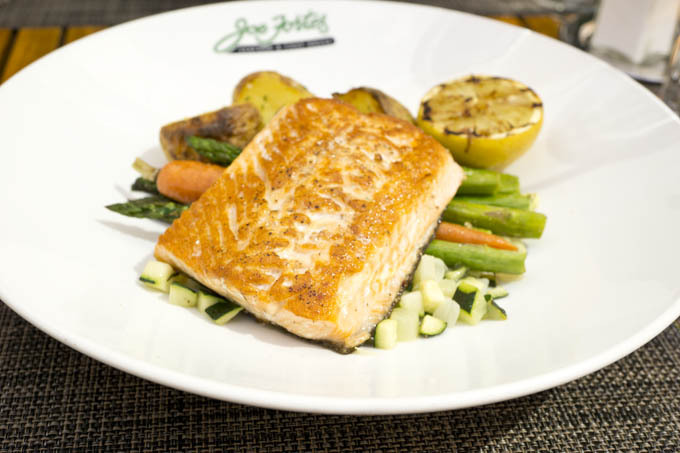 The food is delicious at Joe Fortes, but I really would recommend Joe Fortes based on the service alone. It has been a while since I experienced such friendly and attentive service, so that really heightened the overall dining experience.